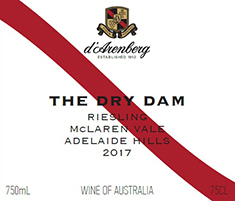 2017 was an excellent year for Riesling in McLaren Vale. Teeming with white flowers and granny smith, backed by a lovely core of lemon and lime. The sweetness on the palate is tempered by a sustained seam of perfectly pitched acidity. The refined and balanced mouthfeel and truly has settled into itself in record time. Enjoy the heady yet delicate personality of this wine in youth or confidently cellar it.